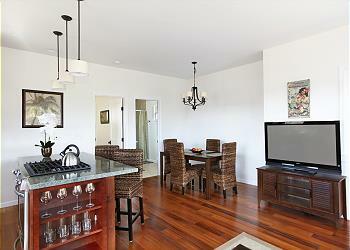 BEAUTIFUL NEW Studio Apt in Poipu Beach Estates w/ AC! 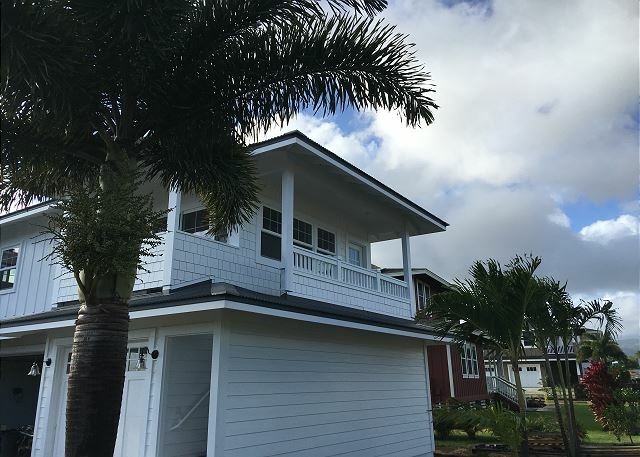 This new, air conditioned suite is located in an exclusive neighborhood of Poipu, offering you the most rare and impressive accommodation the sunny South Shore has to offer. 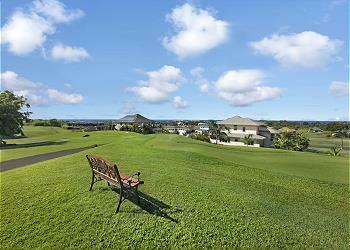 The rolling golf course greens that surround this property provide an open and airy feel. 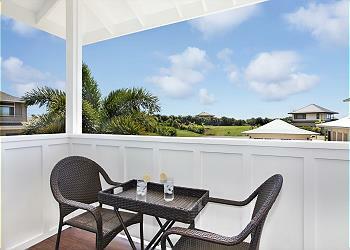 Enjoy the majestic views from your private lanai and breathe in fresh sea breezes. 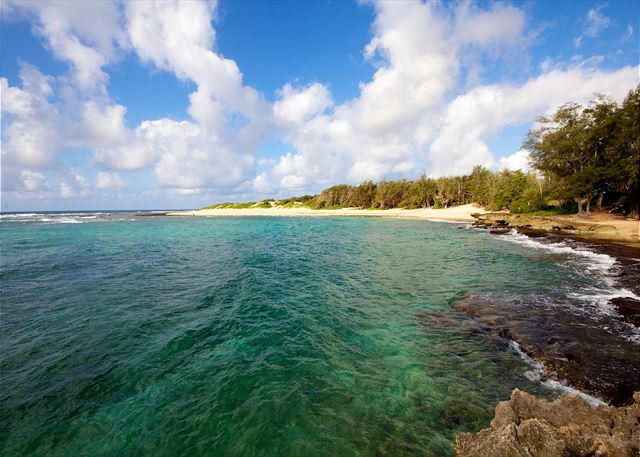 Located less than half a mile from Poipu Beach Park, you can conveniently walk to the beach, shops and over 30 restaurants! This one bedroom suite is tastefully furnished and features hardwood floors, granite countertops, a full kitchen, high-end appliances and flat screen televisions. The owners have taken every measure to ensure your satisfaction within this perfect paradise abode! Our time in Poipu was wonderful. 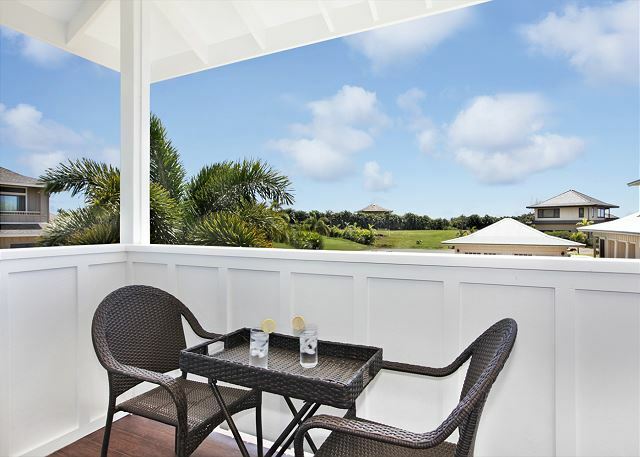 This home is located within walking distance to the shopping and restaurants. We loved it! This is a rental unit above the garage of a house in a nice quiet neighborhood. It looks as it is in the picture except the couch is in a different position. It is clean and new. The air condition works well. There are no window coverings as others have mentioned, except in the bedroom, which is very strange. All of the other similar units in the neighborhood had window coverings. Because of the design, it is impossible not to expose yourself to the neighbors. The couch is a love seat pullout bed and is very uncomfortable as a couch ( did not use the pullout sleeper). After all, you are on vacation and there is no other place to sit except for the chairs. Overall it is a very nice place and reasonably priced. The unit is very new and clean, as it appears in the photos. It was very bright, spacious and airy. The neighborhood is beautiful. 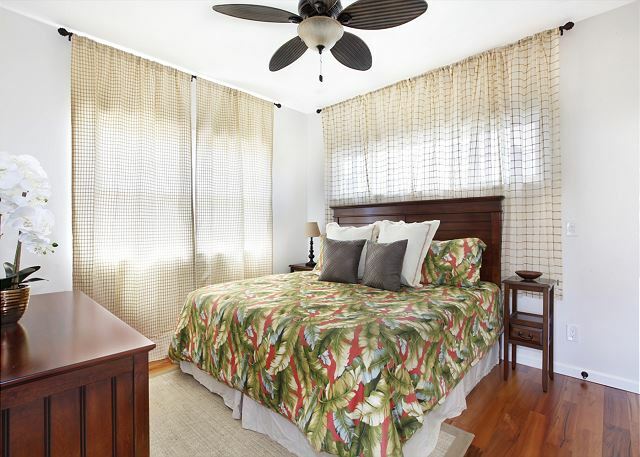 Located close to the beach and stores, the apartment was extremely convenient. The Management Company was very helpful by responding quickly to inquiries and requests. Definitely use them if you have any questions. It gives the experience a human touch. My only quibble is with the bed. While the mattress is comfortable, there is a liner on it that makes noise and doesn't breath well. Maybe they can come up with a more comfortable solution. We will remember this as a great visit! Location was great especially for our first time to Kauai. Allowed for shorter travel times to anywhere on the island. 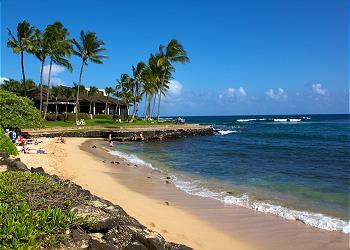 Lots of shops and restaurants close be and Poipu Beach is a short drive too! This is a new apartment in a developing, upscale neighborhood. Once we got our bearings, we found it to be a great location. 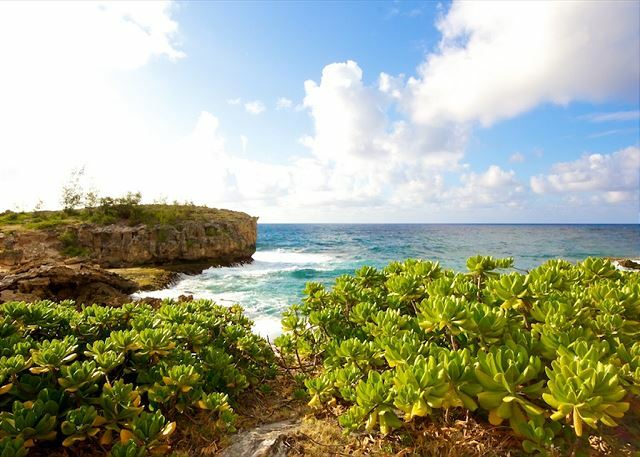 You are a quick drive to any of the beaches and many restaurant options. The apartment is well kept and spotless. The main living area is surrounded by windows on all sides (as seen in the photos), proving nice views and a great cross breeze. On the downside, there are no shades on all those windows (only in the bedroom), so once it gets dark, you are kind of in a fishbowl to be easily seen. There is also only 1 loveseat in the living area, so limited comfortable seating. The other downside was that this is a developing neighborhood and there seemed to be construction or lawn machines (mowers and blowers) every morning. The room is clean and nice, makes feel like home. 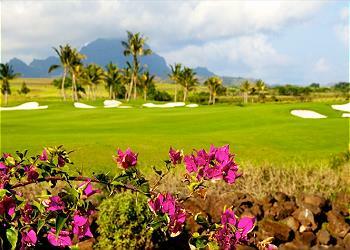 It's close to the Poipu beach and there are two shopping/restaurant centers nearby with lots of deciduous foods. Getting to rental in the dark from airport was not enjoyable. Signage in Kauai is very small or not at all. Rental was very clean and spacious. However we were suppose to get a mid stay clean but didn't not happen. We used the same towels all stay. No laundry available. We tried to clean floors but there was no dust pan and the vacuum was low in suction. 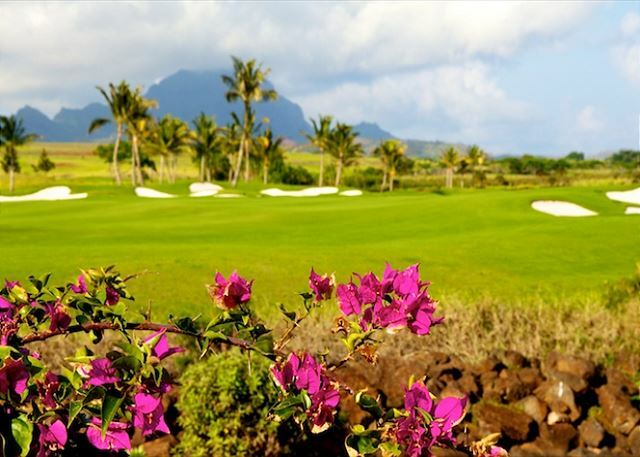 Location was perfect for golfing, the beach and sightseeing. Lots of good restaurant with in walking distance. Please provide a blender would be great. Everything about it was wonderful. 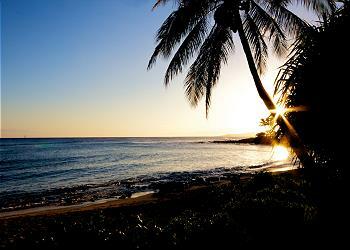 Its quietness and location near to everything we wanted to do made it a great vacation spot. We had a small glitch at the beginning when we were emailed the wrong address, and entered someone else's unit. But after a quick phone call, everything got straightened out. The Royal Palm Suite is beautiful and very clean. Loved the location. It was nice and quiet, except for the roosters. Lol. It is a close drive or walk to the beach. The only reason I don't give it 5 stars, is because I was told we would have access to a grill and a washer and dryer, and we didn't. Other than that, it is a gorgeous place. It was a very nice place to stay. I would stay here again at this price. We truly enjoyed our stay at the suite. 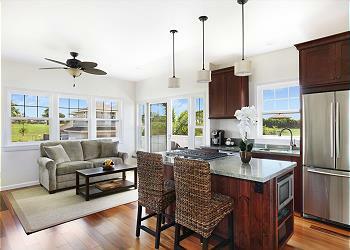 The property was spotless and the management very helpful with any questions we had before and during our stay. Absolutely recommendable! Nice quiet setting half mile drive to the beach. Well appointed. 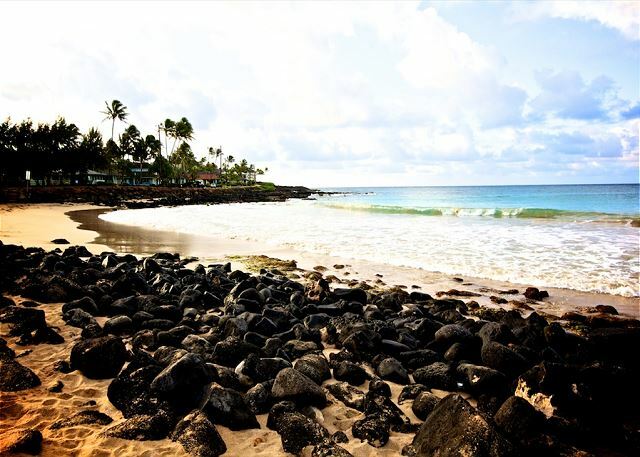 We loved our time at Poipu Beach Estates. The accommodations were just as described and the neighborhood was peaceful. The location is close to the beach, shopping, and restaurants. We could not have enjoyed our time more! Brand new and complete with all the basic amenities. 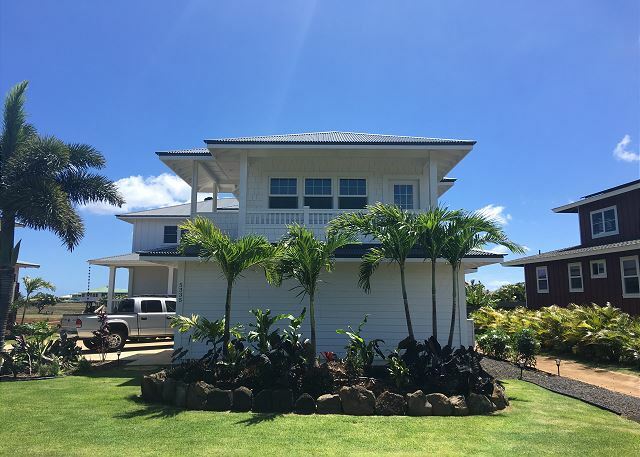 If you are going to make motor trips around the island, this is the perfect place to call home base. Great shopping only blocks away and more than 20 restaurants to handle all your taste choices...on or off the beach. Public golf is available too -- plus several spots to rent beach chairs, umbrellas or boogie boards....surf boards and lessons too. The most highly-rated helicopter tour (Jack Harter) lived up to it's claims and there are plenty of other tours to go on as well. 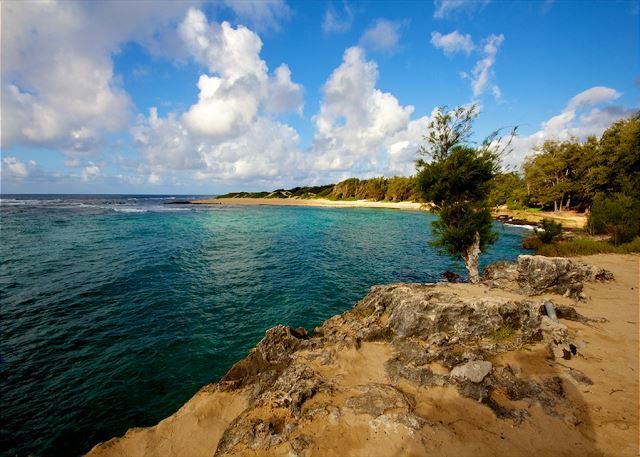 This is a great place on the best island.